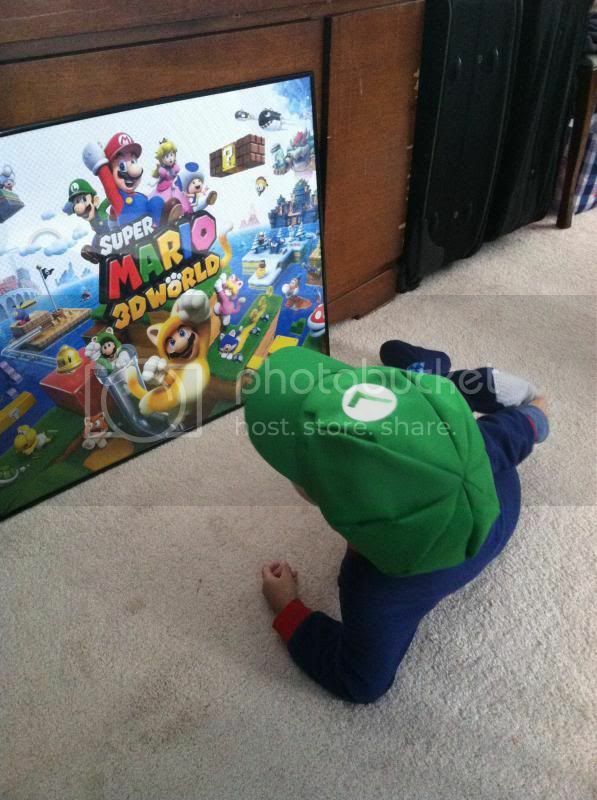 It was after his birthday party that he was so fascinated with the Super Mario Bros poster gift makes him stare them for what who knows what he was thinking about the poster. I admit that since he started to play with us during our Sunday game time, he became one of the instant fanatics of Super Mario. If you noticed that, he also wears his Luigi hat too. He was looking at the poster for about 10 minutes and decided to do other things. This is what he was like during those times. 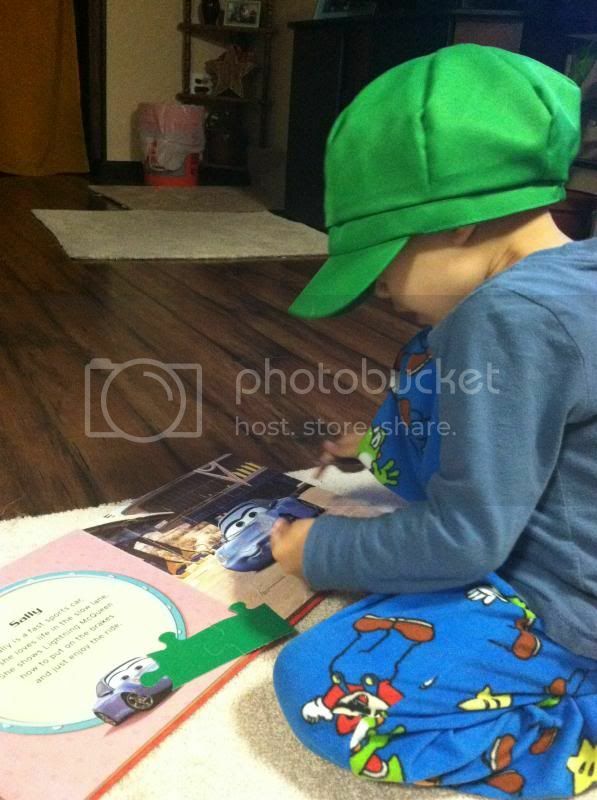 Of course, he will never leave his Luigi hat off anyway, even when his work on his puzzle. No matter what, he loves the hat to wear it all the time. This is adorable! My sons love Mario and Luigi too! In fact, my youngest bought my oldest son a plunger as a gift for Christmas! Fun! He look so cute with that hat. My kids were never interested with that character. I actually like his Luigi costume, he looks adorable. Maybe he feels comfy on that hat and he really likes it. LOL! How about if I'm going to borrow his Luigi hat? That's so cute!